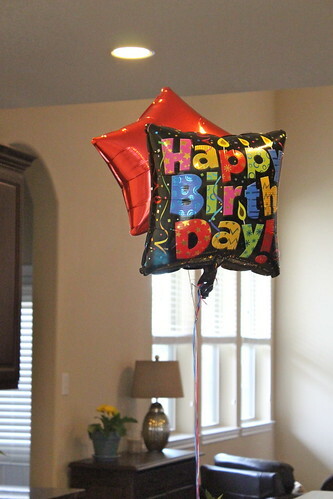 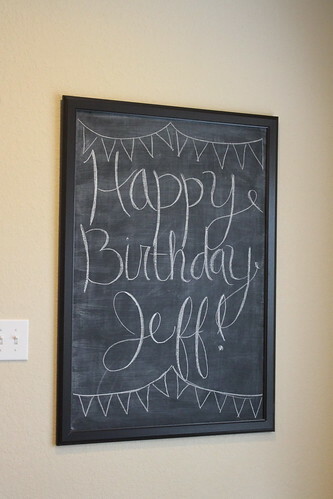 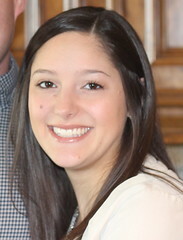 Jeff turned 27 on April 9th, so we had a little party the next weekend with our families to celebrate! 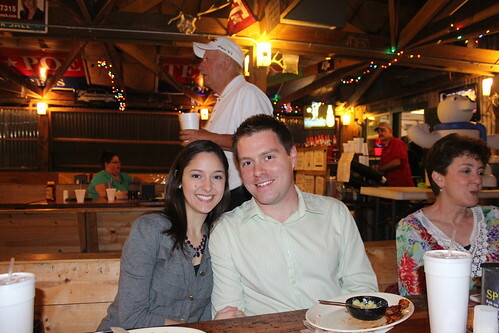 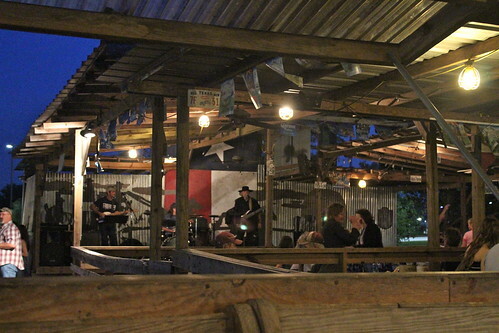 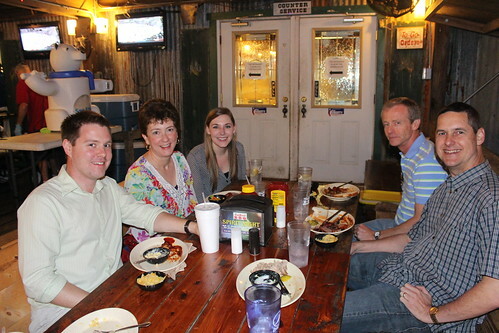 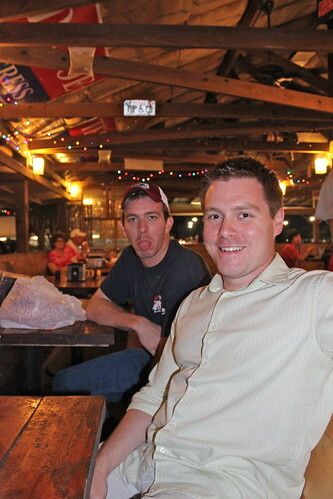 We all met for dinner at Tin Roof BBQ, home of the very best barbecue in northeast Houston (in our opinion) and live music on the weekends. 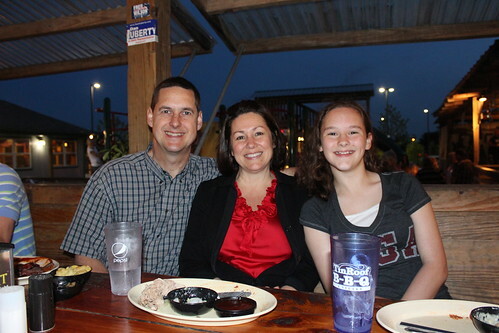 It was a lovely day weather-wise, so we had a great time hanging out with our parents and siblings. 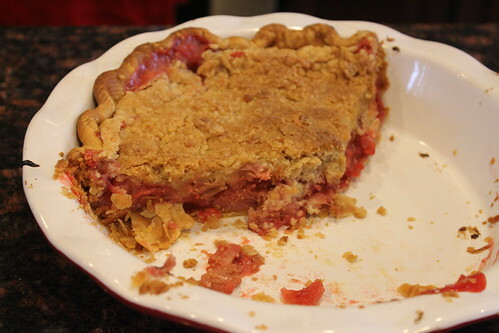 After dinner, we all came back to our house for dessert - strawberry rhubarb pie (Jeff's favorite, and the official dessert of his birthday).